There can be only one winner in the battle of the big box retailers. In the new book “The HIP Investor,” author R. Paul Herman compares Walmart and Target in terms of profit, management, and human impact (health, wealth, earth, equality, trust). So which retailer is more sustainable? 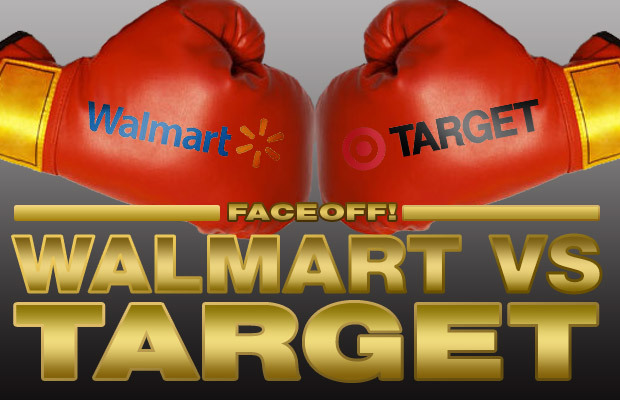 There can be only one winner in the battle of the big box retailers. In the new book The HIP Investor, author R. Paul Herman compares Walmart and Target in terms of profit, management, and human impact (health, wealth, earth, equality, trust). So which retailer is more sustainable? In our opinion, Walmart is the winner. It’s hard to argue with Walmart’s superior profitability, but sustainability is always subjective. We’ve detailed Walmart’s sustainability initiatives extensively on FastCompany.com–the company offers locally grown produce, energy-efficient products, and innovative internal recycling policies, among other things. Walmart’s crown jewel, though, is the sustainability consortium it pioneered–a conglomeration of four major retailers (Walmart, Safeway, Best Buy, Ahold), 34 manufacturers, and 9 universities that is developing a green product-labeling standard for products found on all of these retailers’ shelves. It’s one of the most impressive things we’ve seen a big box retailer spearhead–ever. That’s not to say Walmart is perfect. The company isn’t exactly known for having fair worker’s rights policies, and its $10.76 average full-time hourly wage isn’t too impressive either. But overall, Walmart has made impressive strides in leveraging its power for good. Target, on the other hand, has a ways to go. The company has made improvements on the sustainability front, besting Walmart in 3 of the 5 Human Impact categories from HIP Investor. And it was ranked first on Greenpeace’s Carting Away the Oceans report for enacting superior seafood policies. The company also recycles 70% of all solid waste materials. But in an interview with Herman, Anthony Heredia, Target’s VP of Corporate Risk and Responsibility, admitted that the company hasn’t published any business goals around sustainability metrics. “The reason we are perceived about lagging behind other companies is because we have not been explicit about those goals,” he said. Without a solid vision for the future, how can Target possibly get ahead? Target fares better on the human rights front. The company offers full benefits to managers and scaled benefits for hourly workers, and it contributes 5% of annual net income to programs that serve Target communities. All good things, but the company just isn’t quite shaking things up as much as we’d like. Check out the full HIP Investor chart below. Table excerpted from The HIP Investor: Make Bigger Profits by Building a Better World by R. Paul Herman Copyright (c) Published by John Wiley & Sons. Used with permission.